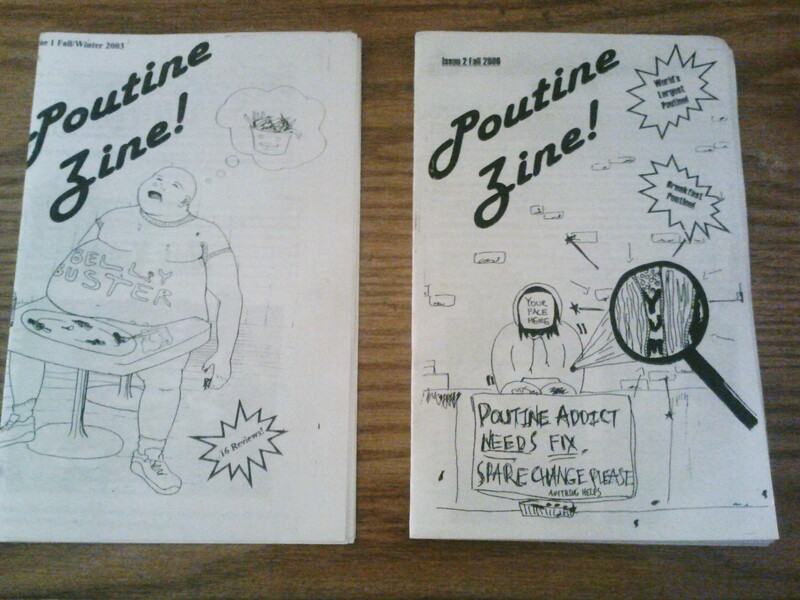 In 2003, I made the first edition of Poutine Zine! (Left) It featured articles on the history of poutine, the etymology, tons of reviews and all the passion a teenage girl who loved poutine could muster. 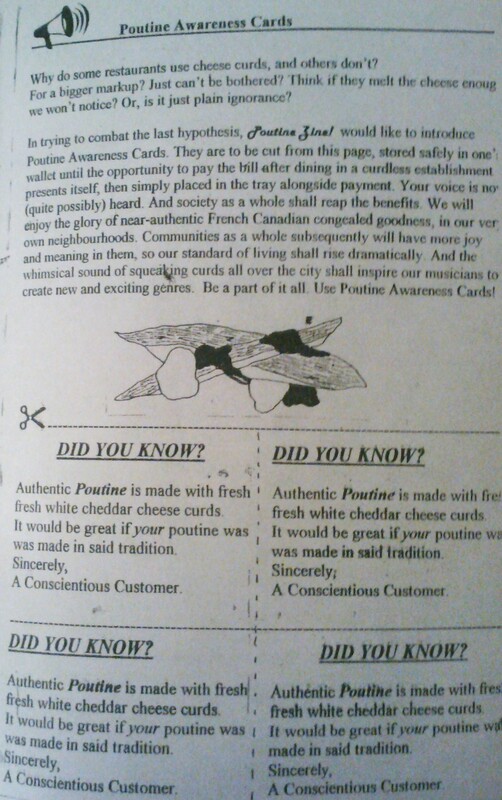 Even poutine activism, as shown by the Poutine Awareness Cards. It also featured drawings by Zeesy Powers, including a centrefold. This first issue was a Broken Pencil Zine of the Month, and it sold out repeatedly, as people would do the “poutine tour” of all the places I reviewed. The second issue has another Broken Pencil review here. It includes articles on Poutiganism, -where you are vegan except for poutine-, the world’s largest poutine and a recipe for breakfast poutine. And, another awesome centrefold by Zeesy. One day I will scan it all and make it available. Until then, it is at a number of Zine Libraries including the Toronto one, or you could email me, amelia.merhar@hotmail.com if you really have a craving.